Lovely to listen to at Christmas time! 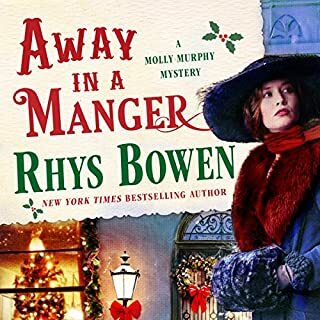 Another Good Molly Murphy Mystery! Rhys Bowen has written another good mystery. I love the characters she has brought to life. Molly is as feisty as ever, and always wanting to help the under dog. Cute story about a time traveling computer geek that becomes a wizard in medieval England. This story was exciting. Perhaps it was the time in history that was more interesting. It followed the Underground Railroad, and Harriet Tubman was in the story line. I loved the singing. It was short, but very appropriate. The narrator did a great job on this one. 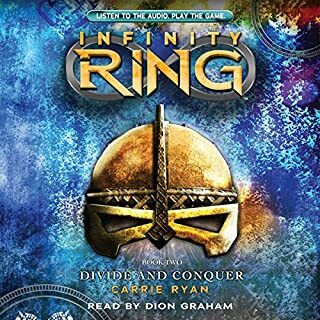 Dak, Sera, and Riq might be in over their heads when they attempt to stop a Viking invasion! Hundreds of ships carrying thousands of warriors are laying siege to medieval Paris. The Parisians are holding their own, but the stalemate can only last so long. And that's bad news - especially since Dak has been captured, forced to work alongside the Vikings while Sera and Riq defend Paris from within. No matter which side wins, the kids lose! This book was better than the first. There was more action and dialogue, and less lecturing. I'm interested enough to try the 3rd book. 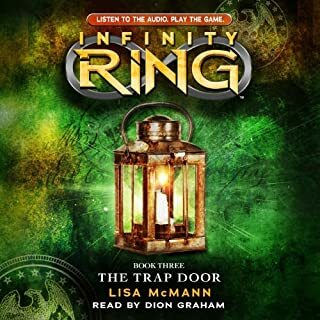 When best friends Dak Smyth and Sera Froste stumble upon the secret of time travel - a hand-held device known as the Infinity Ring - they're swept up in a centuries-long secret war for the fate of mankind. Recruited by the Hystorians, a secret society that dates back to Aristotle, the kids learn that history has gone disastrously off course. 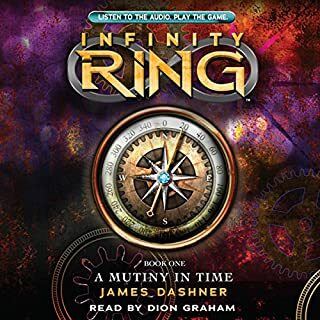 Now it's up to Dak, Sera, and teenage Hystorian-in-training Riq to travel back in time to fix the Great Breaks . . . and to save Dak's missing parents while they're at it. Interesting story, but there was almost too much history. I enjoy time travel stories, but this was a little too much like a history lecture at times. The Cahill family has a secret. 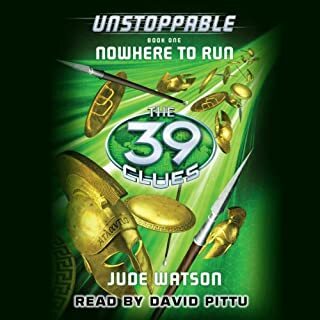 For five hundred years, they have guarded the 39 Clues - thirty-nine ingredients in a serum that transforms whomever takes it into the most powerful person on earth. If the serum got into the wrong hands, the disaster would rock the world. So certain Cahills have always made it their mission to keep the serum safe, buried, locked away. Until now. Thirteen-year-old Dan Cahill and his older sister, Amy, are the latest guardians of the Clues. They think they've done everything right, but a tiny mistake leads to catastrophe. This was not easy to find. It is another story thread after the Cahills vs. Vespers book 6. The exciting story continues as Amy and Dan struggle against evil. The narrator did a good job. Katherine Kellgren is my favorite narrator. When I am looking for a new book to listen to, I often check out her work. I love how Katherine brings the characters to life with her different accents so I can visualize each person as they speak. 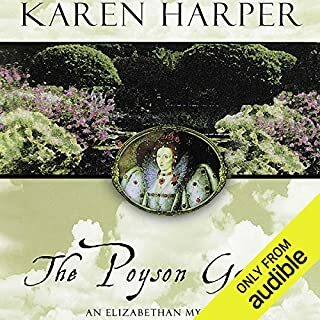 It is because of Ms. Kellgren that I discovered this series by Karen Harper. I really like historical fiction, so this seemed like a good fit. Queen Elizabeth I is very spunky and resourceful in this book. She is not queen when the book begins, but as a plot to kill her is thwarted, she becomes queen by the end. There were some steamy parts that I could have done without, but they did not get explicit. Now I want to listen to book 2. 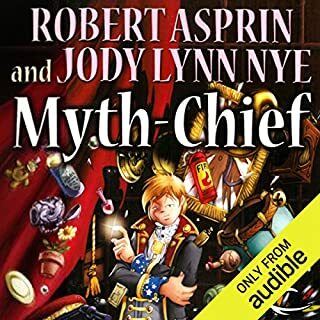 I chose this book because it is narrated by Katherine Kellgren, and she is my favorite narrator. I loved her English, Irish, Scottish, and Russian accents. She really made the characters come alive. I liked how the author entwined two stories and two timelines. I love historical fiction, and learned about the Jacobites. I hope the author will continue the story of Nicola and Rob, and how they unravel future mysteries. Myth Fortunes was a Great Book. Skeeve and Aahz have their hands full as bad luck plagues the new owners of a pyramid, and everyone else who buys into the project. 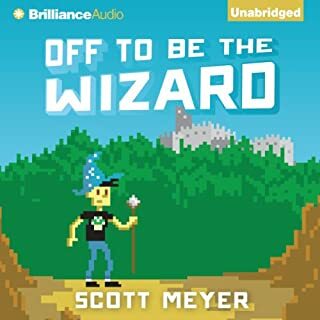 I enjoyed the humor and characters once again, and the narrator did a terrific job. 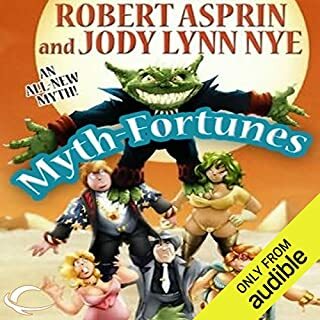 At the end of the audiobook I was sad to learn that Robert Asprin had passed away. I have enjoyed this series very much. The last six books were coauthored by Jody Lynn Nye. I wonder if she will pen another Myth Adventure. I’d love to learn of the further adventures of Skeeve, Aahz, and company. Thanks to Robert Asprin for making me laugh when I needed it the most. Skeeve has decided, at long last, to come out of his self-imposed retirement and get back into the problem-solving biz. He confidently expected to walk in and take his rightful place as the head of M.Y.T.H., Inc. He didn't expect to have to face off against Aahz for the job. With their friends lending help but showing no favorites, they start a not-so-friendly contest to see who will run the company by taking opposite sides of the next case to walk in the door. Will the legendary partnership survive the battle? Or will this be the end of a beautiful friendship? Skeeve and Aahz compete against each other for president of Myth Inc. In the end there is a surprise twist when the president of Myth Inc. is announced. It was nice having the main characters back together along with a new cast. 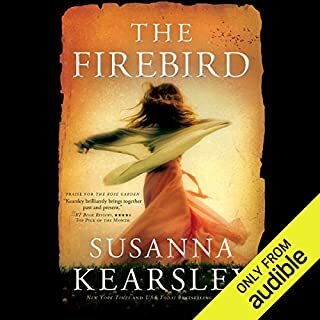 The narrator did another amazing of job of keeping the story moving along. There is never a dull moment when Skeeve and his crew have a goal in sight.